I am sure many of you keep apple cider vinegar in your kitchen pantry for a variety of different dishes, vinaigrettes, pickled whatevers and so on. But did you know it is also a great item for keeping in the bathroom medicine cabinet as an amazing all-natural beauty product, too? For the past two months I have been using a mixture of apple cider vinegar and water as an all natural toner, every single morning and every single evening after I wash my face. I saw a noticeable change and improvement in my skin in just a weeks time. No joke. This simple concoction can help improve your overall complexion by balancing and restoring your skin’s natural pH. Our skin is naturally acidic but when our levels are in balance our skin will live at the perfect level between oily and dry. 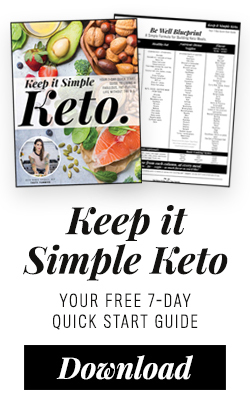 When you pH levels are out of balance, that is when you break out, when your pores get clogged, you are too oily or too dry, your skin can be itchy or irritated, and the list goes on and on. ACV has a pH of 3 and when diluted, the acidity from the toner helps bring your skin’s pH back to its normal levels. By restoring your skin’s balance, this apple cider vinegar toner helps your skin function optimally, warding off bacteria and shedding dead skin cells at the proper rate so your pores do not get clogged and your skin remains healthy. I have noticed my skin tone has evened out significantly, my skin is softer and I have less dry and itchy red patches, plus less oiliness in my trouble spots. I no longer can see the tiny pores on my nose that seemed to always be there. I have also definitely noticed less everyday “regular” breakouts and a significant decrease in the amount and severity of my hormonal breakouts each month. I have observed that many of my previous breakouts were seemingly due to clogged pores and no matter how much I washed my face, I would still have that problem, this toner has seriously been the answer I was looking for. Be sure to get the good stuff. You will want to use an organic raw unfiltered apple cider vinegar, preferably with the ‘mother’. The mother of vinegar is the naturally occurring strand-like enzymes that are only found in raw, unfiltered apple cider vinegar. You will get the most therapeutic benefits with vinegar that contains the ‘mother’. Bragg’s ACV is likely the easiest to find and that is what I buy. There are many different ACV to water ratios online, some say 1:1, others prefer 1:3 or I have seen the ratio even as much as 1:8, etc. I personally think you need to go with what works for you. Start with a small mixture of something like 1 part apple cider vinegar to 4 parts water, if it is too strong for your skin, add more water. If it doesn’t seem strong enough and you aren’t noticing any of the benefits, add more apple cider vinegar. Below is my mixture and what I have found works for me. 1) Pour 1 part Organic Raw Apple Cidar Vinegar into a glass jar, bottle or container. 2) Add 2 parts distilled or filtered water. 3) Shake the bottle to combine the mixture. 4) Apply the toner to your freshly cleansed skin using a cotton ball or pad, avoiding the eye area. 5) Apply your usual, daily moisturizer after the apple cider vinegar toner has dried. 6) Shake well before each use. Store in a cool, dry, dark place (No need to refrigerate). I make a new batch monthly. Experiment with the ratios of ACV to water and see what your skin likes and responds to the most. You will know when you find it. I tend to use a bit less than a 1:2 ratio these days. You can customize your toner by adding witch hazel, green tea, essential oils such as tea tree oil or lavender, etc. Try infusing the water in the mixture with fresh herbs, for added nutrients and wonderful aromas. Just chop up your favorite fresh herb, bring the water to a boil, add the herbs and simmer over a low heat for 30 minutes. Strain the mixture and let the herb infused water cool before adding it in place of regular water to your toner mixture. Yes, apple cider vinegar does smell a little bit like feet. Once the toner dries on your face, the smell almost completely dissipates, in my opinion. Some people seems to be more sensitive to the smell then others. It doesn’t bother me, personally. I use a daily moisturizer that contains wild rose oil and I find that really helps with any residual odors. I do have to say, the thing that smells the worst, is the garbage can under the sink in my bathroom, where all the used cotton balls go. I should probably keep them in a closed bag or something. Hubby always complains that my garbage can ‘smells like a foot’. If the smell does bother you too much, instead of letting the mixture dry on your face and stay on there, try letting it dry a bit, then rinsing your face quick with a splash or two of water, before applying your moisturizer. This will sting on any open sores, scratches, pimples, etc. I recently started using this face wash ALBA ACNEdote Deep Pore Wash . It is still too early to give you my review on it, but I assumed many people would ask what my cleanser of choice was currently. Previously I was using a tea tree oil wash from Dessert Essence and I really liked it, but I found it to be too drying and I think my skin responds best to a small amount of salicylic acid given that I am prone to hormonal breakouts. I will report back after I have used this for a while to let you know what I think. EDIT – 09/13 – I am now on a newer all-natural handmade skin care regimen with Peacock Apothecary, so I am using a different face wash than mentioned above. I am still using this toner twice a day and I still love it. Read about my full skin care routine here, including the products I use, plus another homemade recipe for a simple face scrub. Use in a 1:1 ratio with water for a hair rinse in place of conditioner. 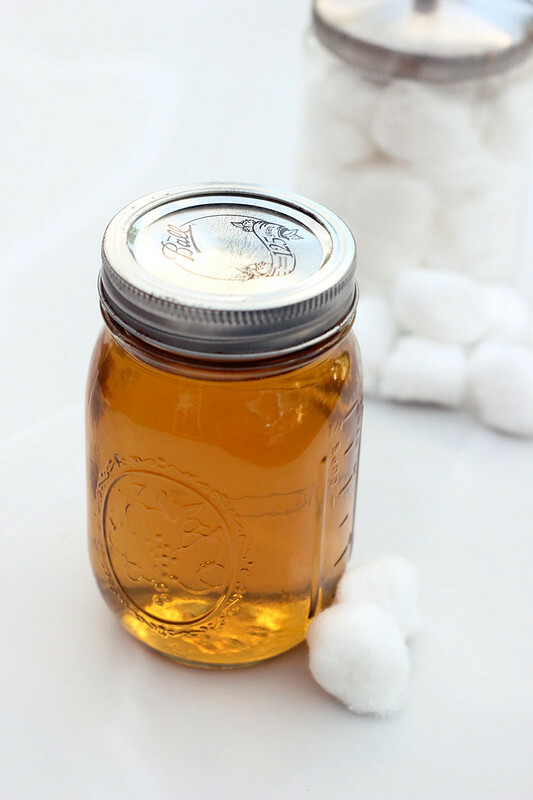 For all-over softness, add a few tablespoons of apple cider vinegar to your next bath. I have found that apple cider vinegar also can help relieve, not cure, some skin ailments such as excema and psoriasis, as long as there are no open wounds! Great post, Beth! Did you use pure vinegar, or the vinegar/water mixture for eczema? Great post! I recently started using a very similar rinse on my hair, since my new pixie cut necessitates more product than I’m used to (although I’m scaling back on that too, and switched from Redken to Giovanni). I currently use Burt’s Bees’ tomato toner, but it’s so overwhelmingly perfumey, I’m suspicious of it. I will try this. Love your suggestion about the herbs and thanks for the explanation on pH! I love ACV! I haven’t used it topically (yet) but I drink a quarter cup of it diluted in a pint of water first thing every morning. I just got a fresh bottle and it isn’t quite as dark as my previous one, although it’s the same Bragg’s Raw + Organic with Mother. Any thoughts on if I should let it ‘ripen’ for a while or just chug away? I noticed my recently purchased bottle isn’t as dark as my old one as well. They had to change from the old wood barrels to metal containers because of California regulations. They say it is the same in nutrients but I am questioning that as well..
Oh I totally used to do this with ACV and forgot about it, I will have to give it a whirl again. I used to use dessert essence too, but it sucked all the moisture out of my skin. I recently found acure organics at whole foods and fell in love with their face wash and night cream. A bonus-its all organic and totally affordable! Specially if you order from vitacost. Hi Juanita I am not sure why apple cider vinegar is like that sometimes. Even between bottles at the store, sometimes I will notice that some are darker and others are lighter, some are cloudy, some not. I have noticed that the longer the toner mixture sits, the more clear it gets. I also wonder if more of the ‘mother’ gets in there if it causes it to be more cloudy. I wouldn’t worry too much about it. I hope you enjoy the toner. Please let me know your thoughts. The more cloudier, the more undiluted the apple vinegar is. The sediment down the bottom (like pulp) is the best part of the solution. You got the better apple cider vinegar! This is a great post! I actually use a similar toner but I use white tea instead of plain water. Extra antioxidants. 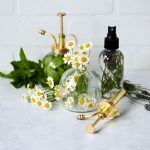 Great post my dear, I LOVE diy beauty products! That’s a good idea! I love my ACV toner but never thought to use anything but water. I’ve also been using the Desert Essence Thoroughly Clean face care system and my face has never been more unhappy about it! I only mildly have hormonal breakouts but ever since I started using the tea tree cleanser and lotion it’s been straight up awful. I’ve been trying to find a cruelty-free/vegan benzoyl peroxide wash, but I haven’t succeeded. I’ve always used a combination of salicylic acid and benzoyl peroxide and haven’t any many troubles. Maybe someone knows a couple good face washes with those ingredients? Keep us posted on the ALBA one, I saw in our store but it was so expensive! I use cocconut oil to clean my face….I have rosacea and dry, scaly skin and this is the only thing that works for me. I concoct a mixture of ACV, Green Tea, Water & crushed up Vitamin C – i read vitamin c is very good for skin….. wondering if that’s a no no for toner? I think vitamin e would be a better vitamin to apply topically (it’s an ingredient in a lot of beauty products already because of it’s effect on skin). Tablets contain binders that might not be so great for your skin, but I’m not sure. Some are just gelatin or cellulose which won’t harm your skin, unless of course you get a sharp chunk in there haha. Vitamin e is oil inside a soft capsule. You can puncture the capsule with a pin and drain the oil into any homemade skin products. It’s pure vitamin E, so no contaminants. My grandma used to do it and I remember making fun of her when I was young. However, after seeing Scarlett Johanson talk about it I’m totally converted and now my grandma makes fun of me. Thanks for the run-through! We just discovered your website-love it! The best solution I know for the stink in the trash is to not use cotton balls. Your hands are your best beauty tools. I keep my toner in a small spray bottle. spritz it onto my hands, pat my hands together, then pat the toner onto my skin. It also eliminates overstimulation from the friction of the cotton ball which may cause your skin to overproduce sebum. Great idea, I will try this Laurie. Thanks so much for sharing. The part is a variable changing by what measurement you are using, so if you are starting with 1 cup of ACV you would then add 2 cups water. I basically just eyeball it based on the container I am filling, I usually do 1/3 of the container with ACV and the other 2/3 is water. Does that help? I wondered that too! I was wondering exactly what ‘1 part’ meant and if you had to double the amount of water according to how much ACV was used. Thanks for your question and the answer! Do you rinse your face after the apple cider mixture dries out? No I don’t, I leave it to dry, then apply moisturizer. Some people prefer to rinse, but you won’t get as many of the benefits, I would think. hi, Tastyummies, What kind of moisturizer do you use after the toner dries out on your face? or is that okey if i won’t use any moisturizer? and should i used soap for washing my face before the toner?? Thank you. hope you can answer me asap. 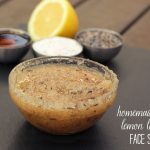 hey there check out my skin care regime in this post here: http://tasty-yummies.com/2013/08/23/homemade-honey-lemon-lavender-face-scrub/ I talk about my moisturizer and other steps. After you make the toner, where is a good place to put it? Like the frigde…Or in bathroom?? I have heard of people doing it both ways. I keep mine in small batches on the counter in the bathroom and I have never had a problem with it. I know for me, if I keep it in the fridge, I will forget to use it. I’ve just recently started making my own skin care products. My cleanser of choice right now is a method called the “Oil Cleansing Method” that I add Frankincense and Melaluca to. I wash with this at night followed by a Lavender spritz. Every few evenings I will pat on a minute amount of Jojoba oil if my skin feels dry. In the morning I use the ACV toner followed by a Frankincense spritz. I live in NM so during the summer I will often spritz my face through out the day if it feels dry. THANKS FOR THE IDEA OF ADDING INFUSED WATER TO MY ACV TONER! IT’S JUST BRILLIANT! I can’t wait to make one with Green Tea. Stupid question. Do you shake the bottle of vinegar with mother before you add the water? Hey i use this homemade acv.for the toner i used two tbsp with 8tbsp of water.i applied it on my face,infact i have it on my face right now and my face feels sticky.i did not feel any sting probably because i diluted so much.what do i do about it.should i wash it off before appluig the moisturizer due to the sticky feel or should i apply the moisturizer over it.i have allot of acne due to discontinuig the use of contraceptives.ive tried absoltutely everything. Nalini I have never had a problem with it being sticky so I cannot advise on why that might be happening. Is it organic unpasteurized, etc? It is home made, she probably didn’t let it ferment long enough. The sweet/stickyness is from the sugar that remains. thanks!such a great sharing~ Im on my way to use ACV . I can’t wait to try this! Another option for the smell of the cotton in the trash can would be to flush them down the toilet instead. Flushing anything down the toilet that doesn’t disintegrate (like toilet paper) is a NO-NO! No tampons in the toilet either Both can stop up the toilet. Oh wow, this is a great post. I will definitely be trying this out. Thanks for this! Shalufar I am not too sure about that. I have no experience with either of those. I am sorry I cannot be of more help. Thanx a lot!! It’s a definitely post that I want!! I’ll make my toner right now! Hi. I just started using acv but I bought a bottle without the mother. I drink a table spoon in a cup of water every morning and evening and apply it on my face. Will it still work? It should, though I would consider cutting it with a little water, straight ACV on your face can be a tad rough. Thanks for your reply. I use one tablespoon of acv to 5 tablespoons of water on my face. This is a really great toner! I have very very oily skin, I just started using the toner yesterday but noticed my skin is alot more oily than normal. Is this normal at the beginning? I added 2 parts water to 1 part ACV. Hi Yecenia, I have the same issue, I started using the toner yesterday and noticed my skin gets more oily than normal. Did continuing with the same ratio resolve the issue? Thanks. I get a lot of my other diy stuff here, too. Very affordable. They also have organic and fair trade products. I keep my ACV-water mixture in a small spray bottle and I just close my eyes and spritz my face… easier than using cotton balls! Angel, I have definitely noticed a difference in dark and light spots on my face since I have started using it. I can only share my personal experiences however, so I make no guarantees this will work for you, but I have found great results! Hope you do, too! Thanks! Thank u so much! for the info, im gonna start making and using my acv toner tommorrow..
You could add some patchouli or frankincense to it. started reducing my spots!! I have been using a variation of this toner for about a year now, (1 part ACV, 1 part witch hazel and 1 part water) and have been very happy with it. I have also been making my own face wash and the improvement in my skin is awesome. My face wash recipe is 1 part Dr. Bronners Tea Tree Castile Liquid soap, 1 part Vegetable Glycerin, 1 part honey. I just mix it all up in a little squeeze bottle and use it twice a day, it makes my skin feel clean but not totally stripped and dry. My skin seems to like my new routine! The soap doesn’t need refrigeration. Woah sorry for the typos! Hi Beth, quick question. I tried just straight apple cider vinegar and my skin tolerates it perfectly fine. I have normal skin. Should I not use it straight, or is it ok? Thanks! it is hard to find the mother in my town.. but i have managed to find ACV diluted with 5% acidity.. Is that ok or should I find the mother.. I am 63 years old and have tired looking skin. After using this for just a week or so I am very happy with the results. The other day a clerk thought that my 16 year old grandson was my son!! Great results easy to use love it. If you are looking for a cheap natural alternative face cleanser baking soda could be the answer for you it too also balances out the ph levels in your skin and acts as an exfoliant (gentle) to help remove gunge off your face. I only ever use this on my face and other areas of inflamation on my skin as it is also has anti fungal/bacterial properties. Hi beth,quick question.I could only get parade apple cider vinegar and not braggs ,it states reduced with water to 5% acidity.can i use this product directly or still mix with water? I have recently been using apple cider vinegar as a toner as well and I love it. Also, I’ve started washing my face with coconut oil prior to the ACV, and from the day one my skin felt amazing. My skin has always been extremely dry while my best friend’s has been overly oily and this regimen has been incredible for both of us. The coconut oil removes make-up and moisturizes without clogging pores. I usually rub into my skin before getting in the shower and let it set for a few minutes. Then I rinse in the shower with some sort of soft loofah, sponge, or towel and pat dry when I get out. It feels slightly oily before the ACV, but is perfect afterward. You can still apply moisturizer after all is said and done but I honestly haven’t used it in days. I also clean my face with coconut oil and have been doing so for a long time. I think it’s the greatest. I, for the first time today, used ACV as a toner….so far, so good…I’ll see how much I like it within a week or so. I have terrible dry, scaly skin on my forehead and hope this helps with the dryness. I had been using ACV and water as toner for a while and at the beginning I really enjoyed it, but after about a month i started to notice the area under my mouth began to get more dry than normal, and it would itch to the point where if i scratch it, it would kinda burn, and i don’t know what i did wrong? Even the tops of my cheeks started getting a little dry but everywhere else on my face was doing so well? I saw this toner technique on Youtube a while back and i actually used to mix water and ACV in a small bowl every night since i live at home and it’s kinda weird for me to just have a huge bottle of ACV in my bathroom which i share with my younger brothers. My skin type is dry i guess because if i go a day without moisturising it gets really dry. I’m really trying to start with an organic routine on my face so please reply ASAP so i know if i’m doing something wrong? Maybe its because i don’t measure out the ACV and water and each night its a different ratio instead of making a batch monthly? Please help me out? I put it on my face , pure ACV … do you think its okay…I do not dilute it on water.. need your advise..
Everyone’s skin is different, for many people that would be too strong, if it works for you, than go for it. I would personally advise diluting it though, if you can. I’ve been using apple vinegar toner for a week and I really like it. I have used it all over my face and eyes as well. Do you think I should stop using them on my eye-leads? I always make sure to close my eyes tightly so non gets into my eyes. I love mixing my ACV with chamomile/lavender tea. I like the idea of green or white tea so I’ll try that with my next batch. And I use honey for washing my face in the am and oil washing with sweet almond oil and lavender EO at night. For moisturizer I used 3 drops of carrot seed oil. My face used to be terribly oily and with cystic acne and it’s improved drastically. I had two guys at work comment on how rested and glowing I looked. I love that my new method is all natural and way cheaper then all the products I used to buy. I used ACV+Tea tree+ water in a spray bottle to help my bacne, and it almost completely cleared it (compared to prescribed medication which did nothing for me). My skin is often oily so I guess the ACV neutralizes that and thus my pores do not become clogged. Love this simple recipe! Apple cider vinegar has so many amazing uses and I adore using natural skin care solutions that are gentle and effective. I will share this recipe on my FB page and Pinterest. Thanks! The ACV and water and each night its a different ratio instead of making a batch monthly? Please help me out? I beth, is there any chance that you will burn ur skin after putting Apple cider toner when u go under the sun? Organic Apple cider vinegar is good also as hair conditioner by mixing 1 part and 5 parts of water with essential oils. 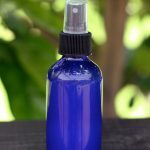 As facial toner i mixed 1 tbsp of apple cider and 4 tbsp of water then added 16 drops of lavender essential oil. The result is good, it keeps my skin moisturized with a little dryness. You can also use as mouth wash 🙂 so there you have different uses of apple cider vinegar. I have been using straight apple cider vinegar as a toner since I ran out of the other stuff I was using. Is it bad to use it straight? I have been using it for probably about 2 weeks, and I’m not sure I have seen a noticeable difference in the clarity of my skin. Have you ever tried the oil wash for your face ? Far from contrary belief oil does not break your skin out !!! I use organic coconut oil , massage into your skin then cover face with a warm/hot washcloth I do this a couple of times for about minute…. Pat dry you now have clean , Dewey and moisturized ! 😉 there are all kinds of different oils you can use for different effects !!! I have made this today, just a little while ago, and I can’t wait to start using it! I also looked at the Peacock Apothecary products, and I thought, Oh my gosh, is this really true? 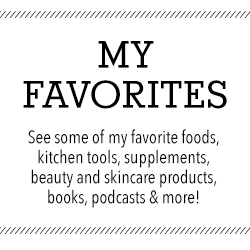 I finally find all natural, homemade products, and they look very pretty as well as healthy for my skin! 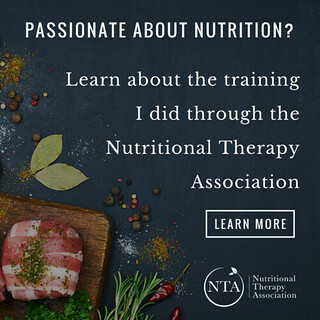 I just wanted to say, thank you, for putting all of these wonderful recipes online! I appreciate your genius and creativity. Have a Happy Holiday! I will be making a batch of this. I gave up medication for my acne roascia escma skin condition because the price was too high for a part timer. I began looking for home remedy solutions for my skin. It recently broke out when I got the stomach bug last week and again this week, had it twice. My skin hurts, just on the face. I make my own scrubs which works well when my skin is less irritated. My escma is just a small spot on the forehead but it’s all broken up and nasty 🙁 I hate being 34 with a teenager face problem. Will do an update. Thanks! I personally haven’t tried it but been eyeing it, simple sugars is suppose to be really great for troubled skins to. Im on the second week of using this and i could hug you right now. I did 1 part ACV and 2 parts thyme water (boiled for 30 minutes and strained) and then a few drops of tea tree oil. I added this in to my routine before putting my moisturizer on. I have moderate hormonal acne, red spots, and minor acne scars. Now my acne is like 2/3rds gone. My skin evened out in color and is vibrant. Lastly the scarring isnt as bad. I cant wait to see what my skin looks like a month from now! Thank you so much! Dang it, I seem to be the only one this didn’t work for…. I was oil cleansing for about a month (with great results) and then I tried a toner mixture just like this and w/in a week, I was a broken out mess. Sharee, gosh I am so sorry to hear that. Such a bummer. That just goes to prove just like our digestion and eating, we are all quite different beings with much different needs, off balances, ph levels, etc. What works for one, doesnt work for another. Many people have told me they swear by coconut oil on their faces and I tried it and it broke me out, something fierce. Same goes for Maca root, many people swear it is great for clearing up their skin, for me it had an opposite effect and my skin was the worst it ever was after I started taking that. We are all just so so different. Thanks for the feedback though, it is always nice to hear comments from both sides, when it works and when it doesnt. Take care. I’m looking forward to trying your acv toner…buy I use retin-A (obagi nu derm refissa) several times a week at night. Any advice about using these two treatments together? 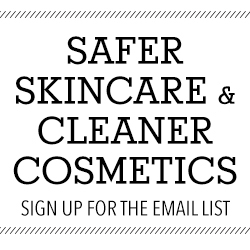 My routine now is cleanse, toner, Refissa…thanks for you help and for the great info in your post. I just found your blog. Thank you soooo much, Beth! I started on ACV for topical skin and hair treatments and for overall body health when I got sinus infection in December. Slowly going all natural around my entire house, as well. After 15yrs of buying-in to the beauty industry (I’m a hairstylist) I also stopped using soap on my skin. 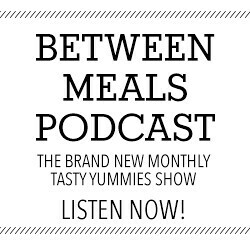 I’m so excited to start a couple of tests of the recipes you have shared. Keep up the good word! Thank you, again! Hi everyone, l’ve just used ACV with water and tea tree oil on my face. My face turn red, is it normal? I hope this concoction helps.. I’ve tried everthing, l’m breaking out continously and don’t know what to do anymore..
About how many drops of essential oil (lavender) would you add to about a cup of this toner? Thanks! For me, I would probably add about 5 to 10 drops, but really you can go with whatever strength you’d like. Thanks! I haven’t used EOs much so I really have no concept of how much to use! I say always start with a small amount, see what you like and can tolerate and build from there in the amount, you can always add more. If you start with too much, you may have to dilute or get rid of it, ya know? Hope that helps. I was just wondering how to store the toner mixture, does it need to be stored in a glass bottle, or is plastic ok? I always store mine in glass, I am so weird about plastic stuff. I guess some brands of apple cider vinegar come in plastic, so it should be OK.
Has anyone got a good “recipe” for sagging skin? What kind of moisturizer do you use? So I recently tried making this and I noticed after a day or two I start to see long stringy stuff floating in it. Is that a sign of growing mold or just what the mother looks like sometimes? I have purchased “American Garden” Apple cider vinegar. I am in India. Do you think its organic and unfiltered mother ACV ?? Do you have any suggestions what I can pick up to match it (if it’s not)? Mix Apple Cider Vinegar with natural clay (purchased at your favorite health food store) for a wonderful cleansing mask! Your pores will love you! I use Aztec Secret Indian Healing Clay and regular Heinz Apple Cider Vinegar (5% acidity). The clay instructions state it is preferable to use raw apple cider vinegar, though. It really cleanses. You can feel your face pulsate, but don’t be afraid. Its a strange feeling, but it’s pulling the blood to your skin for great circulation. Your face will be red afterwards, but the redness should go away within a short time. (10 minutes). Also, don’t get it too close to the fragile skin under the eyes because you don’t want any tiny blood vessels to break. Its not harmful, but we don’t need any more color under our eyes! You can also use the clay mask with plain water, but I think the vinegar is awesome! Both the clay and vinegar are inexpensive and will last for a very long time. I just tried this for the very first time last night (followed by coconut oil as my moisturizer), I must say when I woke up this morning my skin felt and looked better! Less redness almost right away. I found that the apple cider vinegar has a very strong smell, so I can see why you might want to add your own essential oil or mix to the water. Thank you for this post, I am very excited to keep using this new natural toner! ACV will also remove warts! Before bed, soak and gently squeeze a tiny piece of cotton ball in ACV and place it just on the actual wart. Cover this with a spot bandaid overnight. In the morning, remove and wash with soapy water and either let it dry out during the day, or if too unsightly, cover it with a fresh DRY bandaid. Do this for however many nights needed until you see tiny black dots appear inside the wart (which means it is killing the underlying virus), them maybe one or two more nights until the whole thing turns black. Let it air dry and then it will fall off. Hi Beth, I have started using AVC and then a natural manuka moisturiser but I have found that my nose and t zone are still developing a lot of excess oil during the day and at night before I wake up – any ideas why that would still be happening? Would I be better off using an oil for moisturizer i.e. almond oil? I just made a toner containing APV, water, grapes juice and 2-3 drops of vitamin E oil. I want to try this so bad! Is bottled spring water the same as distilled water? I have bottled ESKA water. Can I use that? before I toss them out I rinse the cotton balls. Then the garbage doesn’t smell ! But my face still smells even though I add essential oils to my toner. I love this. I have been making my own moisturizer with coconut oil and a few drops of tea tree oil. I will add this to my regimen as a natural toner! 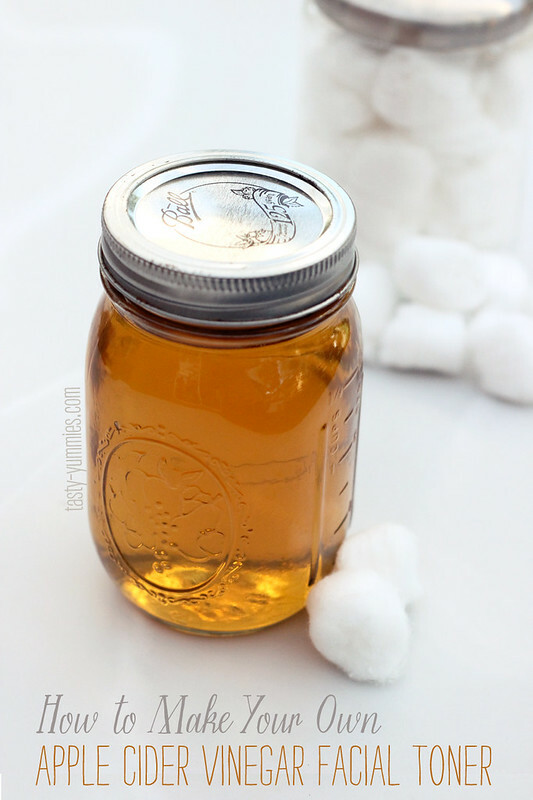 Apple cider vinegar is really a great natural remedy for acne as well as many others. Glad to get more information and uses about it. I’ve been using it on my face straight and then moisturizer on top of that. It’s working fine for me. Yes, it feels a little stingy but nothing I can’t tolerate! Excellent natural recipe; thank you so much. Hiya, i combined water and the apple cider vinegar together to form a toning solution. However after a week or so i began getting this cloudy substance in the bottle containing the water and vinegar solution. Would the solution still be fine to use on my skin? I have a pretty big problem. 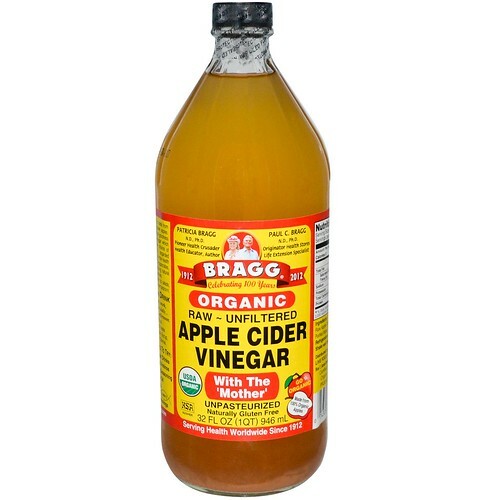 I have been using braggs organic apple cider vinegar since last xmas as a toner. It cleared up my acne however I first noticed my skin feeling like leather and my pores worsening. My pores have become so bad that they now all over my face and are causing dents and scaring in my cheeks. I am scared that this is irreversible and I have stopped using the toner and am using witch hazel for the moment (hopefully my acne doesn’t come back). Another thing I noticed was that instead of my skin becoming more even and brighter…I now have reddening and weird skin pigmentation. What do I do? Could this toner be frying my skin cells and preventing the proper functioning of my skin and perhaps causing it to create clogged pores? I am at a loss because I am only 21 and I should not be worrying about my skin looking old and dented prematurely. I got to know about the good effect of ACV when useing as a facial toner from google search, because i have being having problem with acne och monthly breakout. I would say that i really saw changes the next day efter just one try. 1 pint ACV to 2 pints water and so on. Simple ratio to be used with any unit of measurement and any amount. How long can you store it in your bathroom cabinet for? And if you infuse it with herbs does that lessen the amount of time it lasts? 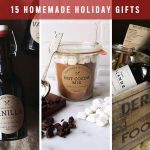 Can you infuse cinnamon with the vinegar cider? How long does it store in the bathroom? I’m super excited to try this! Lately my skin has been acting out (small pimples), could be all the excess holiday chocolates.. In any case, an AHA toner is always a good idea! ACV is great for pimples, warts, acne and many other skin issues. It should really be part of a beauty box. My skin is quite dry and sensitive at times. I’ve stopped using toner etc since 4 years ago. I only use cetaphil facial wash & moisturizer as advised by my doctor then. Thought i’d start using toner this time. From my understanding ACV works mostly for oily skin. What about dry skin like mine? Btw, the weather here is really hot & humid. About 86-93 F during the day. Should i add something else to the mixture? I bought ACV raw unfiltered the Mother brand and i used it to treat a dry cough and also getting rid of the common cold. Apple cider vinegar has a lot of benefits especially to skin. I actually have skin tags, and only ACV have helped me eradicate them. how long i can use apple cider vinegar? i am using this since 6 months. Apple cider is a super product.Thanks for sharing the process to make it.Should i filter it after preparing or keep it as it is. Old but still great! Thanks for sharing this Beth, Cheers! I’ve been using apple cider vinegar for two days, then the acne on my face out and then I put on a face mask. is it harmful to the skin on my face? Been exploring using natural ingredients for body products. Although I’ve used apple cider vinegar as a key ingredient in salad dressings, I didn’t realize I can use this topically. So excited to try! How is it used for that? Topically or by ingesting? Can i apply this toner 24h on my face? I have always have to buy oily skin products because my skin is so oily, but I found a product that is for oily skin, and has anti-aging properties I have been using the Made from Earth Skin Correcting Toner and now have smooth, dry and soft skin. The effect is it plumps up wrinkles, making them less obvious. My dermatologist pronounced my skin “glowing!”. girl this is a LIFE SAVER!! Some pimples were appearing on my forehead, and were mostly gone overnight!!! Thanks a lot for posting this very-easy-to-understand guide for making Apple Cider Vinegar. I’ve found it to be quite effective in curing Excema. 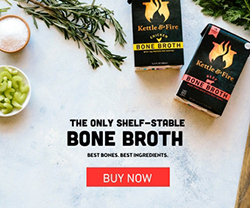 Good to know there’s quite an easy way to prepare it at home. A little late to the party… just curious…. Does it have to be stored in a glass jar?